If you're looking for the best auto repair services in the Midwest or Great Plains then Big 3 Tire is the place to go. Being the top mechanic in all the areas we're located, our customers have glowing reviews of us and come back often for the best auto service around. Our customers consider us to be honest and reliable auto mechanics that are always looking out for their best interests. 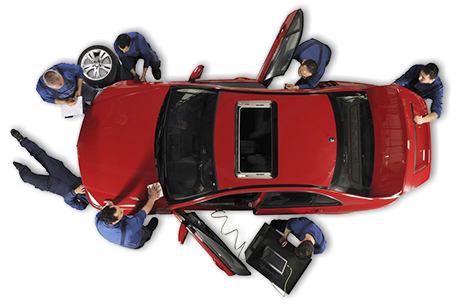 Our auto repair services are affordable and performed by our highly trained mechanics with the top auto parts on the market today. Whether it's a car, truck, SUV, diesel or alternative fuel vehicle, let our auto repair shop examine the vehicle and get you a reliable estimate of any issues that you might be facing. We also love to take care of routine automotive maintenance visits. We always want to make sure that once a vehicle leaves our auto repair shop that it will be performing at its best. We pride ourselves on our customer service and the fact that all automotive repair services are done right the first time. We want to earn your trust and become your favorite auto mechanics.